The elements of earth, water, air, and fire, and the space that surrounds them are classed as the fundamental building blocks of nature and the human body. In aboriginal thought and philosophy, elementals are referred to as spirits or energies that operate beyond our five sense world. The spirits fall into five categories as we do in the third dimension: earth, water, fire, air, and space but they inhabit the other half of our nature- the unseen world(see Crying for a Dream). These energies can be contacted through the vibration of certain sacred words and sacred tones that resonate on the five moving bands of power, the power the Lakota call Skan Skan. The tones and phonetics act like a sonic telephone number and resonate upon whatever elemental reality is needed for the ceremony. Elementals are formless beings, but when they appear to mankind, they can clothe themselves in any form or shape shift into anything they like. Normally it will be something we would recognise from folklore. An air elemental for instance might appear as a winged flower faerie. In the Lakota way, an inyan wasicu – a stone spirit often appears as a little wizened man dressed in red with braids. Many indigenous peoples leave offerings for the elemental worlds: food, strips of cloth or one’s own flesh. In Scotland, the ring and cup marks in sacred rocks are used to feed the faeries. In Lakota country, a spirit dish is used to make food offerings. The shamans tell us that the spirits of earth, water, fire and air are our relatives – the energetic counterpart of our physical being, and we should honour them. 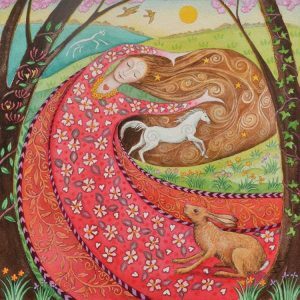 May 1st is Bealtaine or Beltane, a cross quarter fire festive celebrating the renewal of life, the greening of the Earth. It is the Faeries’ day, and this article is in honour of the elemental kingdoms. Merry meet – merry part, and merry meet again. My second book of the Heartstar series is called The Gates to Pandemonia and I have included a page from the text. This will serve us to better understand the elemental worlds. Kilfannan and Kilcannan rose, cloaked in the light of living green, and bowed their head respectfully to the dwarf. “The houses of the gentry serve the element of Air,” they said in one voice. “We are sylphs and spin the thousand shades of green to our island in the sea, for we are the grass that peeps out from the rocky pastures, and the hillsides’ mossy slopes; the luminous, throbbing green of leaves unfolding in the spring; the brooding gloom of dark forests filled with fir; the crimpled green of primrose; and the brave dark spears of lily’s in the bog. We are elementals of Air,” they said, and they then sat back down. Duirmuid glanced at Aine. The succubus stood up from her chair. Her flaxen hair now shined orange in the light, and proudly she spoke. “I am the changeling, daughter of Manannan Mac Lir, the son of the sea and Erin of the dream. I am the element of water, the misty rain, the waterfall, the starry tears on leaf and bud. I am one element and at once the other three, forever turning the seasons at the quarters of the year. I am spring, the time of growth and light; summer in its glory; and autumn’s slow decay to winter’s sleep. I am Aine the half blood.” She then settled back down. “And beautiful you are, sweet Aine, enchantress of the woodland – and so brave!” Duirmuid exclaimed. Revealing their true natures in such a formal way formed a bond between the elementals, and after the company had introduced themselves, the dwarf turned his stone grey eyes on the Kilfenorans. A portentous silence fell upon the hall. The dwarfs ceased their chatter, and in that instant, Kilfannan felt strengthened by the stone and powered his intent to win through the darkness. Elementals had gathered round him – whether by chance or a higher design, he did not know. But earth, water, fire, and air were all represented in the company of the key. Join the fourth dimensional rebellion…start the journey…. What are your thoughts regarding Prince Nelson Rogers (Prince) being murdered (sacrificed) on the day of Beltane aND same day of Queen Elizabeth’s birthday? April 19th through May 1st are sacrificial days for the satanic elite and Prince could well be a sacrifice to Moloch. He spoke out against many of the evils on this planet. The reason I chose Beltane to launch my new book is to create the opposite charge. 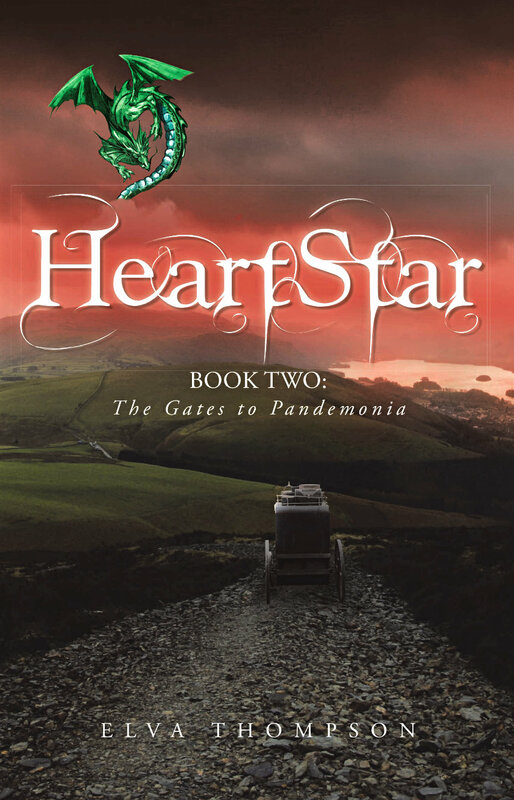 In The Gates to Pandemonia, a group of elementals in the fourth dimension are seeing their own realm wither and die…just like our physical reality. Parallel realms sharing the same space. Green is the colour of the Heart…the fourth dimension…and when the heart dies, so does the green. 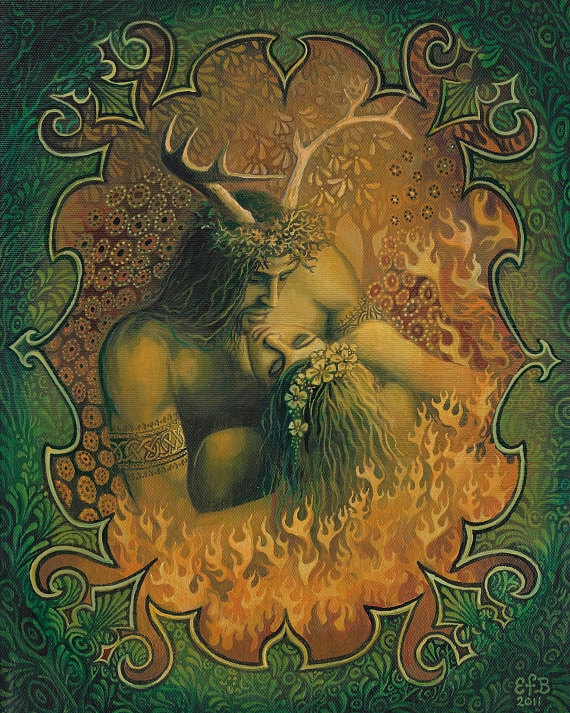 Blessed Beltane, Elva dear. I’m so looking forward to reading Book Two. Love, health, and peace. Blessings to you, Merideth. It rained this evening so I’ll be washing my face in the dew tomorrow morning. Take it from someone who has read Book 2, it is not just a story, it is a powerful experience. 😉 love and blessings to everyone. Love and blessings to you, Helios.